When the nominations for the 90th Academy Awards were announced in January, there was something noticeably different about this year’s list of nominees compared to previous ones: Major categories, both in front of the camera and behind the scenes, actually honored people of color who have contributed their immense talents to some of the amazing films this year. Because of previous years’ huge lack of non-white honorees, many observers were quick to cheer for the diverse nominees and applaud the inclusion of traditionally marginalized groups, as we all should. But some people even asked whether or not the era of #OscarsSoWhite is “finally over” — but if this year’s list of nominees proves anything, it is that there is still an uphill battle for equality in Hollywood. Yes, there may be more diversity in the 2018 Oscar nominations, but #OscarsSoWhite is still a major problem. 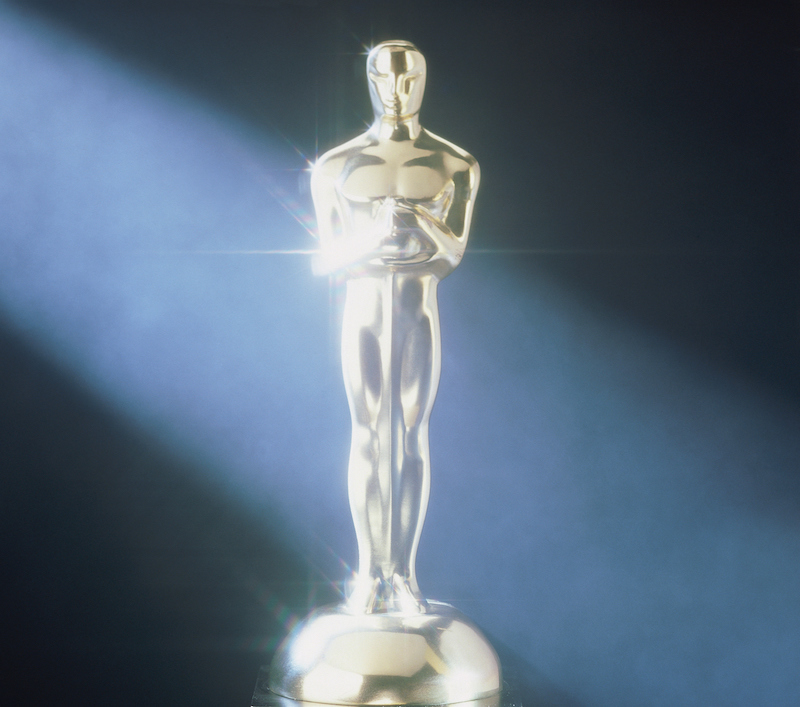 When April Reign tweeted about Hollywood’s diversity problem following 2015’s all-white acting nominations, the #OscarsSoWhite creator wanted to draw attention to the entertainment industry’s serious problem with racial inequality. Three years and a more much more diverse nomination list later, Reign explains that there is still a long way to go before underrepresented communities are on equal footing with white actors, producers, directors, and other creatives in Hollywood. It’s true that the 2018 Oscar nominations honor several Black men and women, both in front of and behind the camera — including key nominations for actors Daniel Kaluuya (for his lead role in Get Out), Denzel Washington (for his lead role in Roman J. Israel, Esq. ), Octavia Spencer (for her supporting role in The Shape of Water), and Mary J. Blige (for her supporting role in Mudbound and for her original song in the film). In addition to Kaluuya’s Best Actor nod, the record-breaking social thriller Get Out received three more nominations — Best Picture, as well as Best Director and Best Original Screenplay for Jordan Peele. Four Black actors got nominated. In a year that could have been #OscarsSoWhite, it was better than predicted. These are huge reasons to celebrate, but there are still problems we can’t ignore. Yet again, only white actresses were nominated for the Best Actress category. Moreover, there is a complete lack of Latinx and Asian nominations across all major acting categories. Hong Chau wasn’t recognized for her highly praised performance in Downsizing, and not a single Latinx-led movie received an Oscar nomination. By excluding so many other underrepresented groups from such an important industry event, Hollywood’s messaging is that though they may be ready to celebrate Black experiences at their award shows, other people of color still have to fight for space at the table. The Academy of Motion Picture Arts and Sciences, the body behind the Oscars, seems to be working toward a more inclusive awards show. But after decades of inequality, it is going to take a lot more than a handful of nominations to change a legacy of racism and inequality. "Until we are no longer lauding 'firsts' after a 90 year history, until we can no longer count a traditionally underrepresented communities' number of nominations in a particular category on our fingers, #OscarsSoWhite remains relevant. The fight continues." It is so important to recognize the achievements and Oscar nominations of women and people of color in the film industry this year, but the fact remains: the Oscars are still so white, still so male-dominated, and still have a lot of work to do on behalf of marginalized and underrepresented groups in Hollywood.